Talk about an exciting time to be involved with the BoP. Since the world’s wealthiest philanthropist Bill Gates gave his speech about "creative capitalism" in Davos last Thursday, the development world has been abuzz with its interpretations and implications. But Switzerland is not the only place where headway is being made. 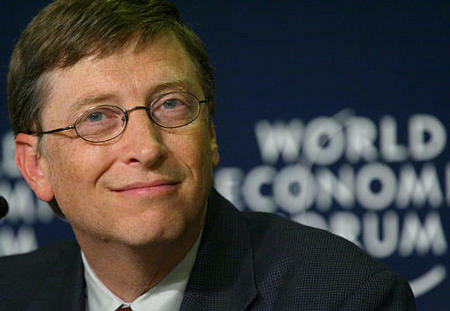 In 2000 a conference was organized in Seattle on Creating Digital Dividends at which Mr. Gates, in a keynote address, famously said that "poor people don't need computers" and rejected a business approach to alleviating poverty. Within a year, however, he had changed his mind, and Microsoft became a leader in seeking ways to provide affordable services to low-income populations—in some small measure with WRI's help. The beginnings of a more full-fledged belief in inclusive capitalism, according to the WSJ today, came at a dinner in Seattle, organized by WRI, in which Mr. Gates spent several hours talking with BOP guru C.K. Prahalad (Bottom of the Pyramid). I was also at that dinner, and remember Mr. Gates saying to me that the question was how far towards the bottom of the pyramid could business approaches go—not too far, was his assessment. But again, his thinking evolved. The objective of moladi is to address this fundamental need SHELTER. The objective of moladi is to address this fundamental need ESTEEM.